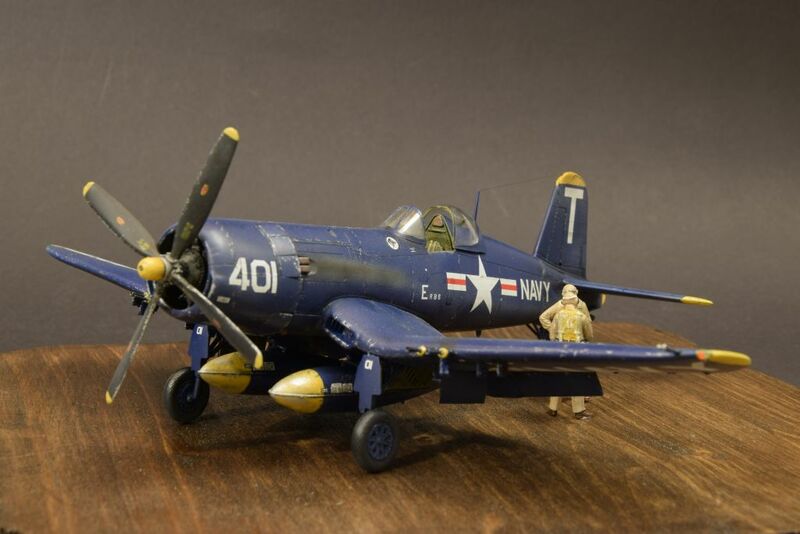 AeroScale :: Revell 1/48: F4U-5 "Corsair"
None of the pictures show. 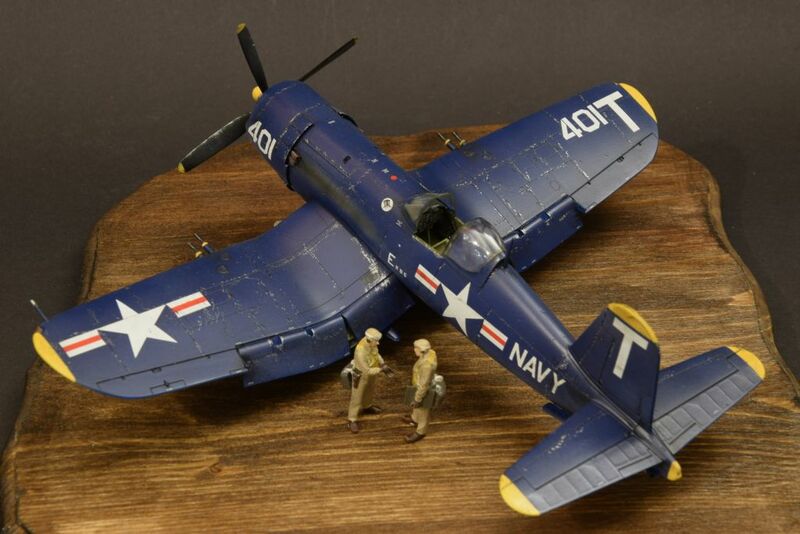 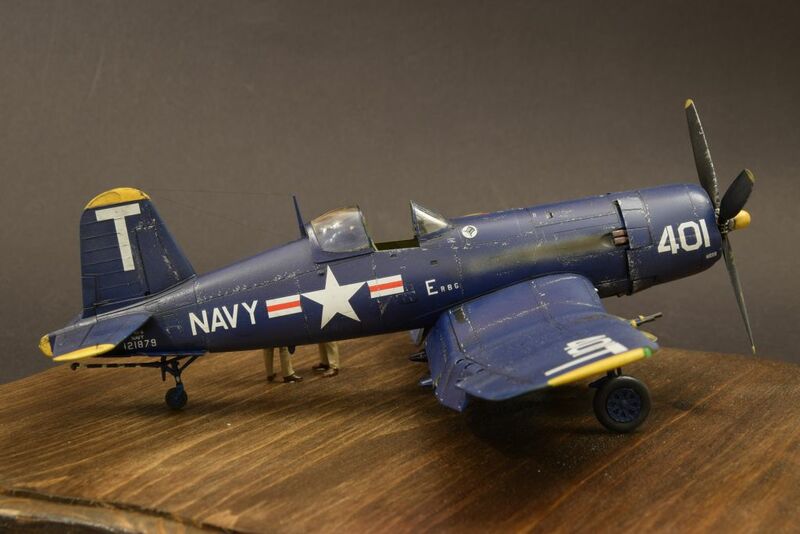 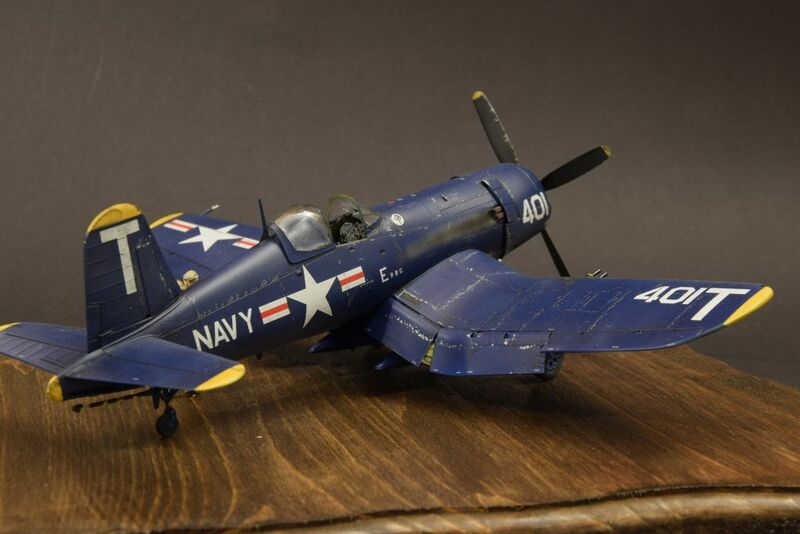 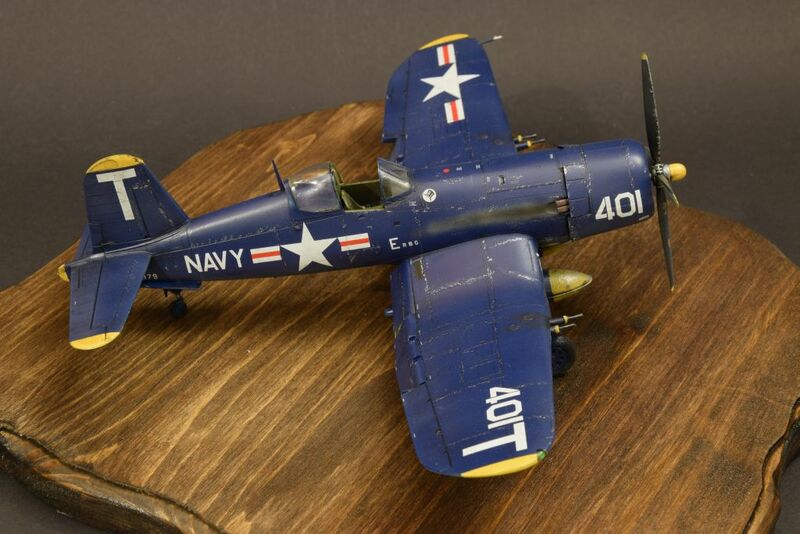 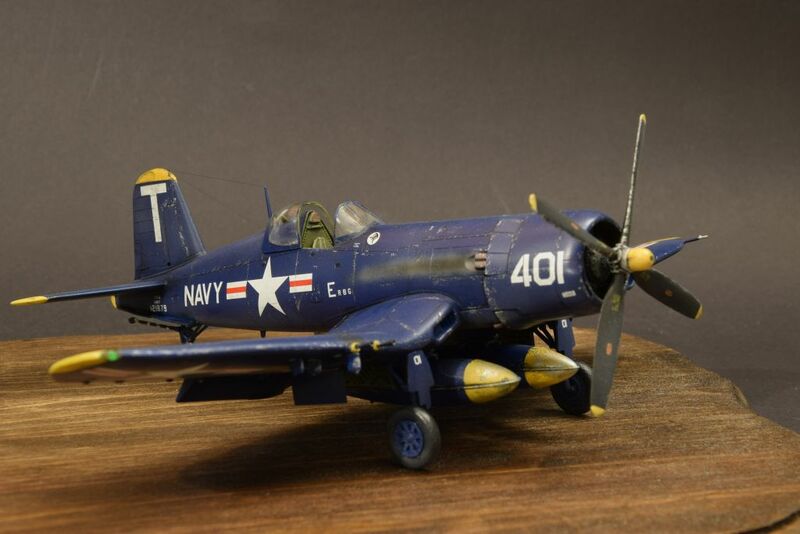 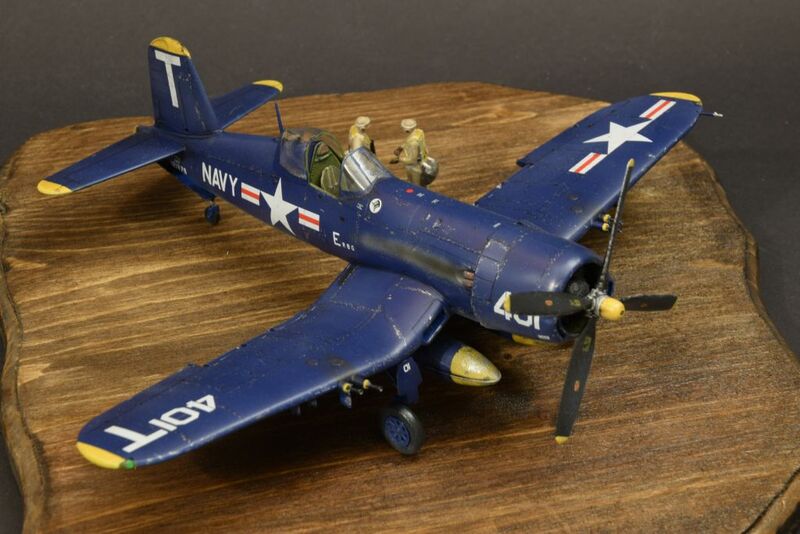 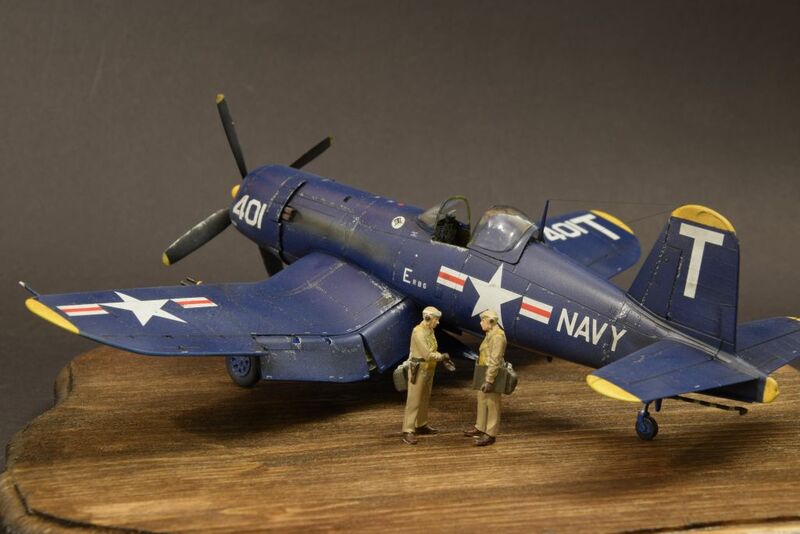 This is my new F4U-5 "Corsair" from Revell in 1/48 scale. 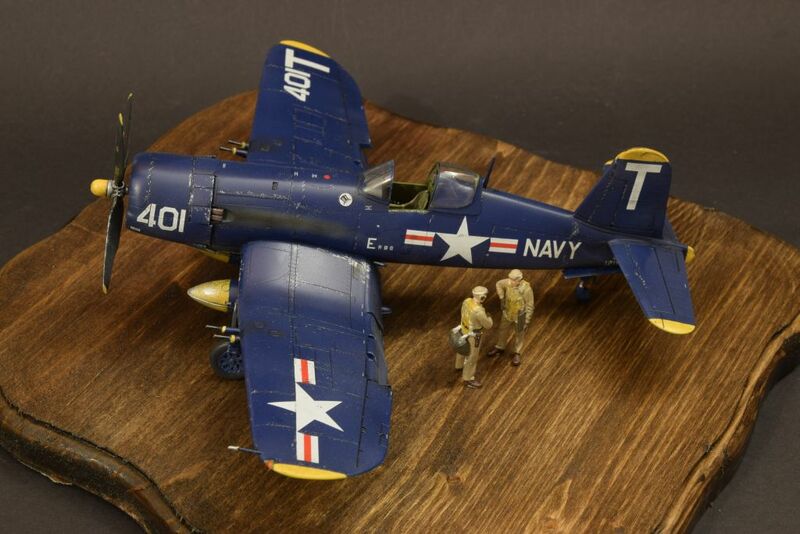 Built out of box. 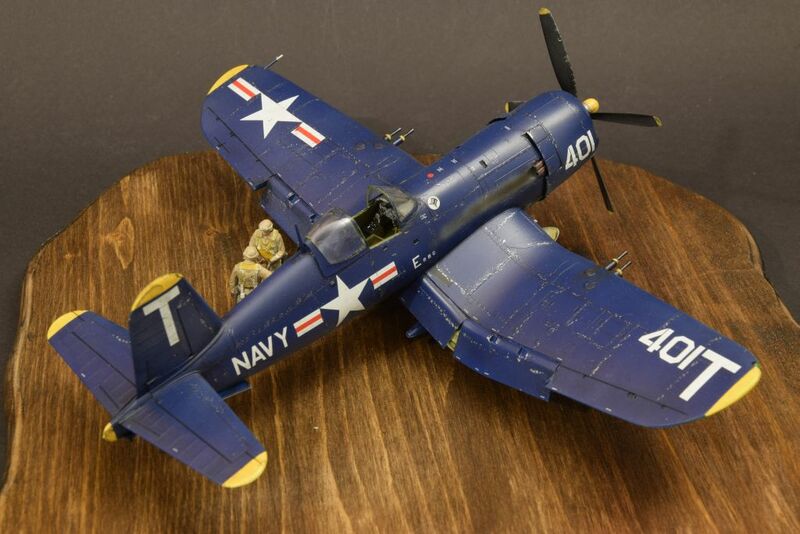 Painted with Revell Aqua Colors. 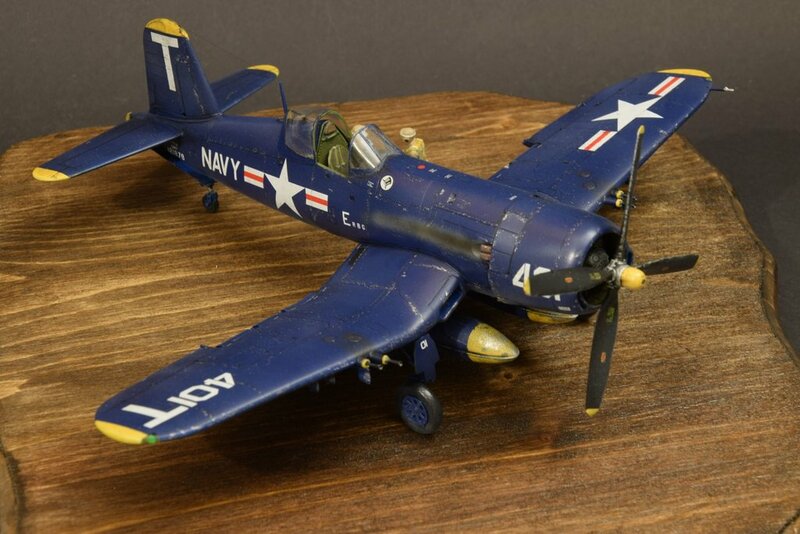 The blue in the photos appears a bit lighter than in reality. 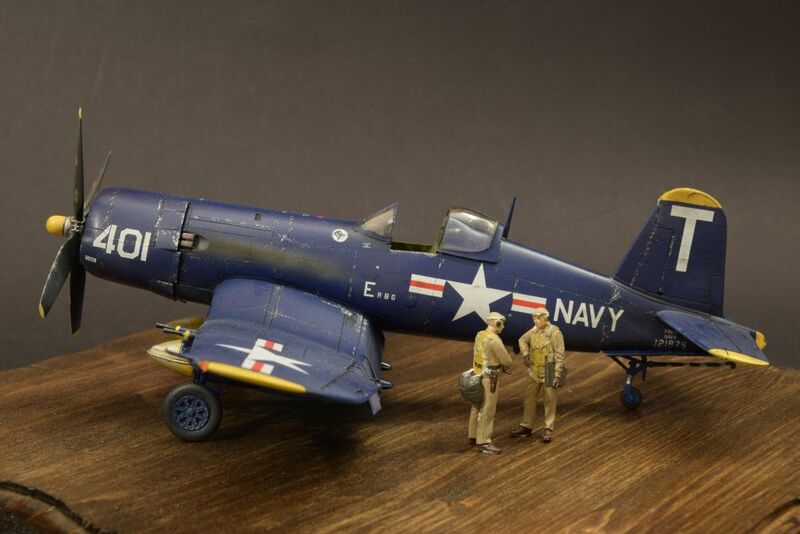 Everything is sealed with semi-gloss varnish. 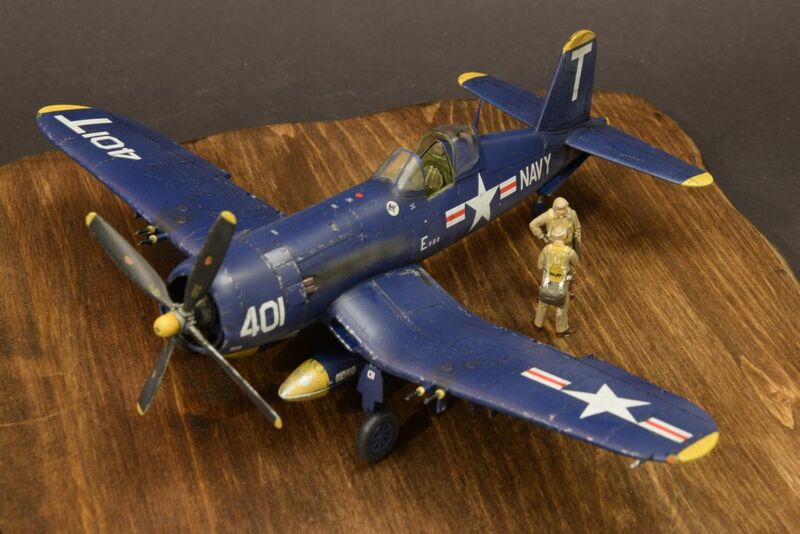 The two pilot figures are from Tamiya.